Department of Pure Mathematics, University of Shahrood, P. O. Box 3619995161- 316, Shahrood, Iran. 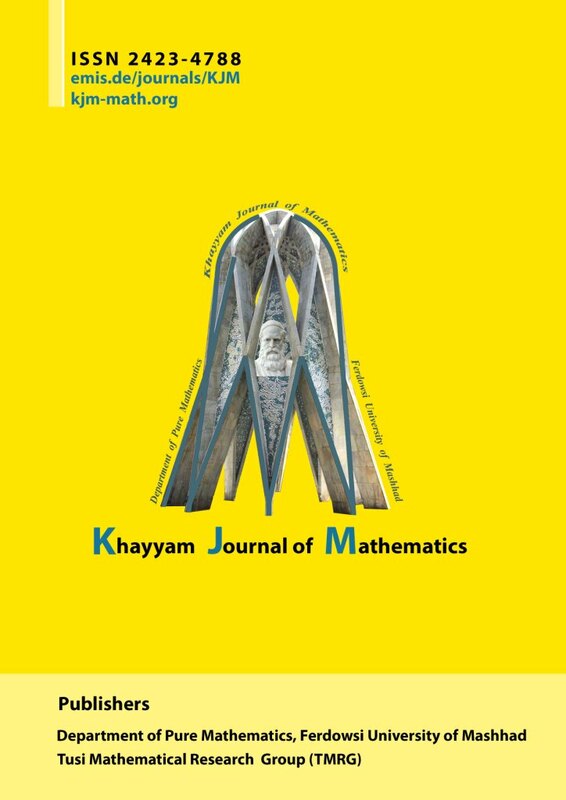 We introduce the notions of strongly zero-product (strongly Jordan zero-product) preserving maps on normed algebras. These notions are generalization of the concepts of zero-product and Jordan zero-product preserving maps. Also for a non-zero vector space V and for a non-zero linear functional f on V, we equip V with a multiplication, converting V into an associative algebra, denoted by Vf . We characterize the zero-product (Jordan zero-product) preserving maps on Vf . Also we characterize the strongly zero-product (strongly Jordan zero-product) preserving maps on Vf in the case where V is a normed vector space and f is a continuous linear functional on V. Finally, for polynomials in one variable x over Vf , we shall show that each polynomial of precise degree n ≥ 0, with non-zero constant term has precisely n-zeros (counted with multiplicity) in Vf . While, polynomials of precise degree n ≥ 2, with zero constant term have infinitely many zeros when dim(V) ≥2. This shows that the algebraic fundamental theorem for polynomial equations over an arbitrary algebra, is not valid in general.